In 1758, he joined a local company of rangers. As he and two escorts were returning from Fort Edwards with a dispatch for the commanding officer at Winchester, Virginia, Indians ambushed them. The escorts were killed, while Morgan was seriously wounded by a bullet that hit the back of his neck, knocked out all the teeth in his left jaw and exited his cheek. After the frontier grew quiet, Morgan returned to working as a teamster. He also continued his brawling and rough ways, but he always saved his money and in 1759 he bought a house in Winchester, Virginia. 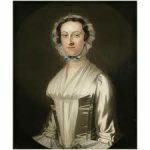 By 1763 he had taken a sweetheart, Abigail Curry, and the two set up housekeeping and produced two daughters before being legally married. (Daughters Nancy and Betsy both married Revolutionary War veterans.) Abigail settled him down and taught him to read and write. By 1774, when Daniel and Abigail married, he owned 255 acres and was a prosperous farmer with ten slaves, a captain of militia, and a respected citizen of the community. Meanwhile his marriage to Abigail gradually transformed him from a boisterous, pugnacious youth into a high spirited man, eager to improve his mind and live a more respectable life. After his harrowing experiences in the Quebec Expedition, Morgan named their home Soldier’s Rest. By 1775 Morgan was a back-country soldier, proficient in Indian fighting and using the American rifle – a long, slender weapon of great range and accuracy. After the Revolutionary War began in spring 1775, the Continental Congress authorized the raising of two rifle companies from Virginia, and Morgan was chosen to lead one of them and was given the rank of captain. He raised ninety-six men in ten days. On July 15, 1775, Morgan’s Riflemen set out from Winchester, Virginia, and marched 600 miles in only 21 days, arriving in Boston, Massachusetts, on August 6, 1775, to support the Siege of Boston. The rifle, a frontiersman’s weapon, was scarcely known in New England and Morgan’s company caused quite a stir. More to the point, they helped create an almost pathological fear of rifle companies among the British rank and file. As the expedition set out from Maine, Morgan was chosen to lead the advance party. Arnold and Morgan had tempers and exchanged cross words on more than one occasion, but they respected each other and fought well together. Even after Arnold’s treason, Morgan continued to speak fondly of him. During the assault on Quebec on December 31, 1775, Arnold was wounded, and at the insistence of the other officers, Morgan assumed command. They penetrated into the lower city, but he reluctantly surrendered to overwhelming odds. Morgan was among the 372 men captured. He remained a prisoner of war until exchanged in January 1777. When he rejoined Washington early in 1777, Morgan was surprised to learn that he had been promoted to colonel for his efforts at Quebec. He was assigned to raise and command a new infantry regiment, the 11th Virginia Regiment of the Continental Line. 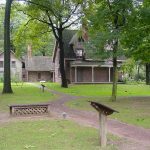 Washington, by now well aware of Morgan’s abilities, assigned his rifle corps to harass British General William Howe’s rear guard during their entire withdrawal across New Jersey during the winter and spring of 1777. On June 13, 1777, Morgan was also placed in command of the Provisional Rifle Corps, a unit of 500 riflemen. By late summer, the Americans faced a threat in New York state as British General John Burgoyne marched from Canada with the intention seizing the Hudson River, thus dividing New England from the rest of the colonies. Morgan’s regiment was reassigned to the Continental army’s Northern Department and on August 30, 1777, he joined General Horatio Gates. The two armies clashed near Saratoga, New York, in a two-day battle (September 19 and October 7, 1777) generally considered the turning point of the war. It was a decisive victory, when the Americans badly needed a win, and it played no small part in influencing the French government to officially enter the war on the side of the struggling colonies. Morgan’s troops fought so well at the Battles of Freeman’s Farm and Bemis Heights that when Washington requested their return, Gates replied that he could not spare “the corps the army of General Burgoyne are most afraid of.” Morgan’s riflemen had exacted heavy tolls at the Battles of Saratoga. At Bemis Heights, Gates countered the British by ordering Colonel Morgan’s riflemen to cross through the woods to flank Burgoyne’s force. Fierce fighting drove the British back to their own fortifications and only darkness saved them from being overrun by the Americans. Morgan is prominently depicted in the painting of the Surrender of General Burgoyne at Saratoga by John Trumbull. After Burgoyne’s surrender, Washington recalled Morgan to assist in the campaign around Philadelphia. Morgan rejoined the main army on November 18, 1777, and skirmished and scouted for Washington throughout New Jersey and Pennsylvania in the fall and winter of 1777. Though not actually engaged at the battle of Monmouth, he effectively pursued the British after that engagement. Morgan’s friendship with General Gates was strained for a time when he refused to support Gates in his efforts to replace General Washington as Commander-in-Chief of the Continental Army in late 1777 and 1778. Gates insulted Washington by sending reports directly to Congress instead of to Washington, his superior officer. Through the efforts of Gates and his friends, Congress did briefly consider replacing Washington with Gates. Throughout 1778 Morgan hit British columns and supply lines in New Jersey, but was not involved in any major battles. After the Battle of Monmouth, he actively pursued the withdrawing British forces and captured many prisoners and supplies. When the Virginia Line was reorganized on September 14, 1778, Morgan became the colonel of the 7th Virginia Regiment. Colonel Daniel Morgan was continually passed over for promotion by the Continental Congress. The standing policy was that a state could only have as many brigadier generals as units supplied by the state and Virginia had already met its quota. Morgan was deeply offended. He also had health problems – his legs and back aggravated by the abuse taken during the Quebec Expedition. He suffered from severe sciatica, which he described as “a glimmering glimpse of eternity.” Morgan resigned from the army on June 30, 1779. Congress refused his resignation and instead granted him a furlough, so he went home. Over the next year Abigail treated him with cold baths and herbal remedies, but Morgan would never again be free of back problems. On May 7, 1780, Congress ordered Morgan to join General Horatio Gates, who had taken over command of the Southern Department. Morgan was still in great pain from sciatica. But after he learned that Gates had been defeated at the Battle of Camden, South Carolina, in August 1780, Morgan set out for headquarters in North Carolina. Morgan arrived in September and on October 2, Gates, with whom he had become reconciled, gave him command of a light infantry corps. On October 13, 1780, Congress finally promoted Morgan to brigadier general. From October to December, Morgan’s order from Gates was to scout and campaign between Camden, South Carolina, and Charlotte, North Carolina. General Nathanael Greene arrived early in December to replace General Gates. Greene had quickly earned the respect of George Washington, who regarded him as one of his most valuable officers. On December 3, 1780, Brigadier General Daniel Morgan rode into Charlotte, North Carolina, to greet his new commander. Greene had decided to split his army and annoy the enemy in order to buy time to rebuild the force that Gates had lost in Camden. Greene ordered Morgan and his 700 men to forage and harass the enemy in the South Carolina backcountry, but to avoid direct battle. Morgan left Charlotte on December 21, 1780. 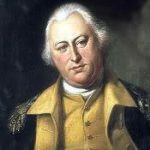 When Greene’s strategy became apparent, British General Charles Cornwallis immediately ordered Lt. Colonel Banastre Tarleton to pursue Morgan. After playing cat and mouse with Tarleton for three weeks, Morgan decided to disobey his orders and set up a direct confrontation. From his officers, who were experienced in fighting Tarleton, Morgan learned of Tarleton’s tendency for a quick frontal charge and that he lacked respect for the Patriot militia. Morgan, one of the most gifted battlefield tacticians of the Revolutionary War, formulated a plan to exploit Tarleton’s tendencies. Morgan chose Cowpens – a well-known pasturing area for cattle in the upcountry of South Carolina – as his battleground because of the hills in its geography. He spent the night before the battle going around his camp, encouraging his men and especially the militia, to give him two shots. On the morning of January 17, 1781, Morgan formed three lines near a winter cattle enclosure to await Tarleton’s attack. When Lt. Colonel Tarleton arrived at Cowpens, he found Morgan had placed the militia under the command of Andrew Pickens on the front line. Tarleton quickly ordered his veteran troops to advance. The militia fired two rounds and retreated. The British then penetrated the second line of militia in a similar fashion, thinking they had won an easy victory. Tarleton saw the retreat as the beginning of a rout similar to what had happened at Camden in August when the militia had fled and left Gates’ Continental forces vastly outnumbered. But the British were met with deadly fire and a bayonet attack from Morgan’s main line. Tarleton ordered a charge, but the British soon found themselves double-flanked and were forced to surrender. In less than an hour, Tarleton’s 1076 men had suffered 110 killed and 830 captured. Although Tarleton escaped, the Americans captured all his supplies and equipment. Morgan’s cunning plan at Cowpens is widely considered to be the tactical masterpiece of the war. Cornwallis had lost not only Tarleton’s legion, but also his light infantry, which limited his speed of reaction for the rest of the campaign. Before long the damp and chill of the campaign brought on another severe bout of sciatica; after a week on the road Morgan was in constant pain and could no longer ride. He held his army together until its rendezvous with Greene’s, but soon after he applied for a furlough. Greene discharged him most reluctantly, and Morgan headed home for another series of cold baths. On February 10, 1781, he returned to his Virginia farm. The United States in congress assembled, considering it as a tribute due to distinguished merit to give a public approbation of the conduct of Brigadier-General Morgan and of the officers and men under his command on 17 January last, when with 80 cavalry and 237 infantry of the troops of the United States and 553 men from the States of Virgina, North Carolina, South Carolina, and Georgia, he obtained a complete and important victory over a select and well appointed detachment of more that 1,100 British troops commanded by Lieutenant Colonel Tarleton, do therefore resolve that the thanks of the United States in Congress assembled be given to Brigadier General Morgan and the officers and men under his command for their fortitude and good conduct displayed in the action at the Cowpens in the State of South Carolina on the 17th day of January last; that a medal of gold be presented to Brigadier-General Morgan with emblems and mottoes descriptive of his conduct on that memorable day. The war had only eight more months to run. Cornwallis surrendered to the Americans at Yorktown on October 19, 1781, and Morgan was called to arrange housing at Winchester for the British prisoners. He then resigned his commission for good. He was 46 years old, and had served more than six years in the Revolutionary War. In 1782, Daniel Morgan built a new home near Winchester, Virginia, which he named Saratoga after the famous battle, where Morgan and his Virginia Riflemen played such a critical role. The home was constructed of native limestone quarried from nearby Opequon Creek. This is where General Morgan spent the last years of his life. On March 25, 1790, Morgan was awarded a gold medal from Congress in recognition of his victory at the Battle of Cowpens. In 1794, the major general returned to active duty to lead a group of militia against protesters during the Whiskey Rebellion. By presenting a massive show of force, he managed to resolve the protests without a shot being fired. Morgan’s business dealings in land speculation resulted in his owning over 250,000 acres by 1795. Morgan ran for election to the U.S. House of Representatives twice, as a Federalist. He lost in 1794, but won next time and served a term from 1797 to 1799, but was too ill to run for reelection in 1799. General Daniel Morgan died at home July 6, 1802, on his 66th birthday. He was buried in Old Stone Presbyterian Church graveyard, but was moved to the Mt. Hebron Cemetery in Winchester, Virginia, after the Civil War. 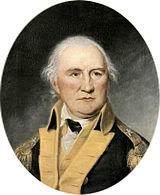 Died on Tuesday morning the 6th instant at his house in Winchester, VA. General Daniel MORGAN, at an advanced age. His distinguished service during the Revolutionary War, entitled him to rank among the first who fought and suffered for American Independence – his remains were interred with military honors on the 7th in the presence of a multitude of sympathizing friends, whose countenances acknowledged his merits, and indicated their belief that our country had lost one of its firmest supporters. 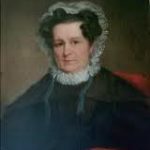 Abigail Curry Morgan died May 20, 1816, in Russellville, Logan County, Kentucky. 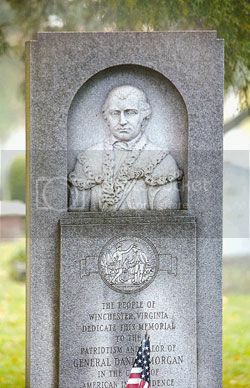 In December 1821, the General Assembly of Virginia approved the organization of Morgan County, named in Daniel Morgan’s honor. General Daniel Morgan is considered one of the fathers of today’s United States Special Forces Army Rangers. Five hundred of Morgan’s riflemen fought under George Washington and inflicted great losses on the British troops making them the most feared corp of the Continental Army. In 1881, on the 100th anniversary of the Battle of Cowpens, a statue of Morgan was placed in the central town square of Spartanburg, South Carolina. In 1973, Morgan’s home Saratoga was declared a National Historic Landmark. Morgan and his actions served as one of the sources for the fictional character of Benjamin Martin in The Patriot, a motion picture released in 2000.